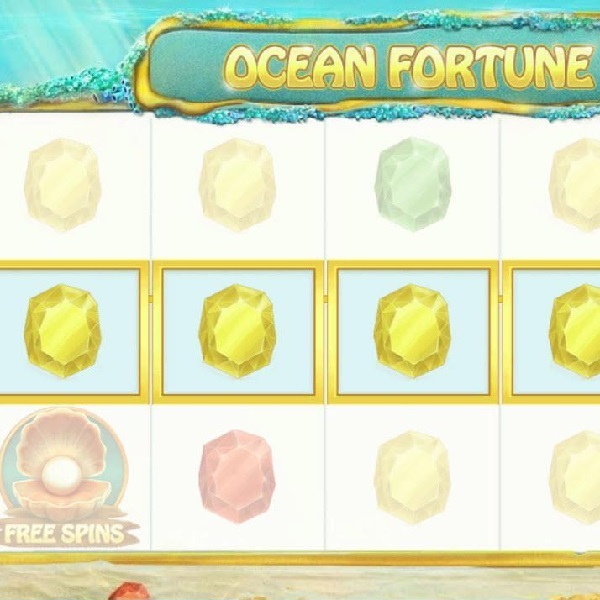 Dive under the sea in the new Ocean Fortune slots just released by Red Tiger Gaming and you could find a fortune. Ocean Fortune is a 5 reel slot with 20 fixed paylines. On either side of the reels are mermaids and the symbols include a golden aquatic crown, a mermaid’s necklace and a starfish. The lower value symbols are different coloured gems. The wild symbol is a mermaid with purple hair and there is also a pearl bonus symbol. When three or more of the pearl bonus symbols land on the reels you need to select each one of them in turn and they will reveal a certain number of free spins. During the free spins the mermaid wild becomes a stacked symbol and the lower value symbols are removed from the reels. Furthermore, the free spins can be retriggered indefinitely.